One of the projects I started and haven’t made much progress on yet is the Little Free Hack Rack. 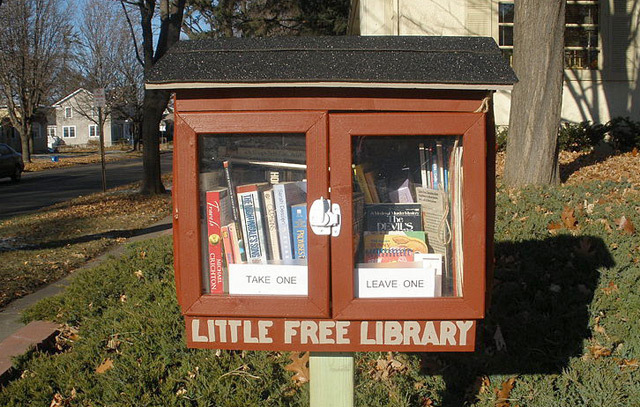 The concept smashes together the idea of a Little Free Library and a Hack Rack into something that’s just crazy enough to work. We even set up a web site at littlefreehackrack.org for this thing… Oh, and what is this thing? 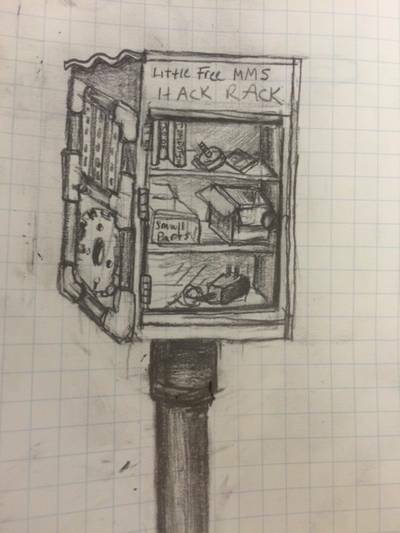 Just like a Little Free Library the Little Free Hack Rack should be a weatherproof enclosure with a door, but it would contain miscellaneous items that could be useful to makers and hackers. You could stock it with some resistors, LEDs, capacitors, or other components. You might put your old cell phone in it, knowing someone might grab it just for the screen or the keypad. We might be able to keep old tech out of the landfill by promoting the recycling and reuse of materials. I’d love to some day offer plans to create your own Little Free Hack Rack with cut files for laser cutters and CNC machines. In an ideal world someone at a makerspace could download the files and build their own Little Free Hack Rack and have it out near the curb in a very short time frame. Let me know if you build a Little Free Hack Rack for your front yard! 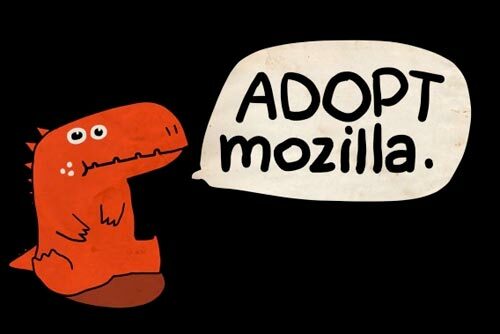 Mozilla’s mission is to build user sovereignty into the fabric of the Internet. We work to ensure that the the Internet remains open, interoperable and accessible to all. To do this we build products, we build decentralized participation worldwide, and we build the ability for people to create their own experiences in addition to consuming commercial offerings. As the “web” changes, I think it’s probably necessary for Mozilla to change as well. Read the whole thing: Mozilla in the New Internet Era – More Than the Browser. Clip art fans… Have you ever used openclipart.org? 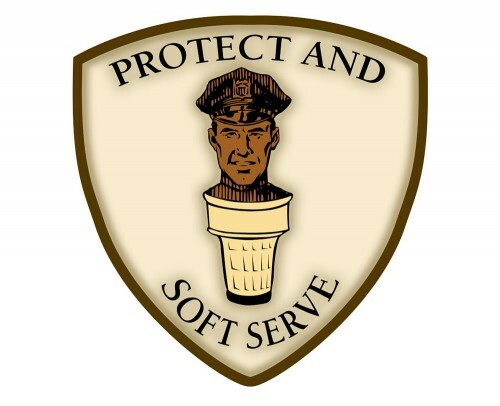 Hey, you could even find a policeman and a soft serve cone and do something interesting with it. In the post Planning for the future my point was to tell you that the future is unwritten. It hasn’t happened yet, which means you can still have an effect on it. I do use Facebook, just like I’ve used many tools in the past, to the limits of their usefulness. But I also don’t just settle. I like to think that things will get better the next time around. I still believe in a free and open web, and I’m not satisfied with how Facebook fits into that future. So when I say “Facebook can Die Like the Rest” I’m not talking to Facebook, telling them what to do… I’m talking to you, telling you that it’s a possibility. Maybe if we work together we can make it a reality, and replace it with something better. So this new Chrome Web Store, or “App Store” as it were, seems to be a way for people to “sell” applications to Chrome users. To be fair, you can also make your app available for free. As for the paid part, well gosh, they aren’t that evil because they take a smaller cut than Apple does with their app store. Make no mistake, Apple’s App Store is evil, so even if you’re less evil than the guy who is more evil… you’re still evil! Is it based on open standards? Will it work in all browsers, not just Google Chrome? Can anyone run a competitor to the Chrome Web Store? Does it help keep the web free? Does it help keep the web open? There is a battle going on… it’s for control of the web. I’m on the side of keeping the web free and open. I can see this fracturing the web, and I don’t like it. Ultimately this makes sense for Google and their Chrome OS, which means to take over everything, because all you’ll need is The (Google) Cloud™ and the Chrome Web Store so you can buy your Google Approved Apps to run in your Google Chrome Browser and OS. But it’s OK, because Google doesn’t believe in lock-in. This is just one more reason I really don’t care for the Google Chrome web browser… I prefer to stick with a browser created by a non-profit organization that has a similar mission to mine, to promote openness on the web. P.S. I think Google is a great search engine. They also do other things quite well, but that doesn’t mean I want them to do everything, and I definitely don’t want them to control everything.